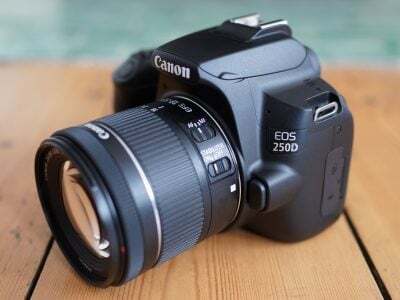 The Canon EOS 250D / Rebel SL3 is a compact DSLR aimed at first-time buyers looking for a step-up from the cheapest models. You get a 24MP APSC sensor, optical viewfinder, fully-articulated touchscreen and mic input, and while the 4k is limited, the 1080 enjoys great autofocus. See my review-so-far for details! 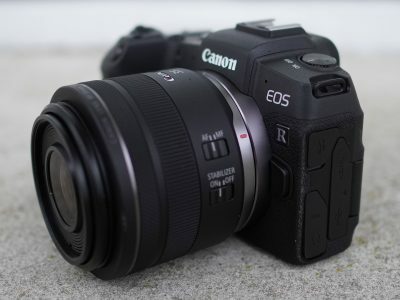 The Canon EOS RP is an entry-level full-frame mirrorless camera with 26 MP, an electronic viewfinder, fully-articulated touchscreen and cropped 4k video. 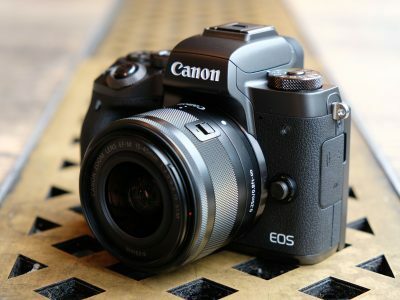 Pitched at a lower-level than the EOS R, it’s Canon’s most affordable, not to mention lightest, full-frame body to date. Find out if it's right for you in my full review! 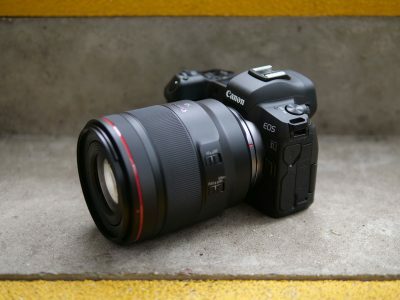 The Canon EOS R is a full-frame mirrorless camera with 30 Megapixels, Dual Pixel CMOS AF, 4k video and fully-articulated touchscreen. It’s the first full frame mirrorless camera from Canon and launches the new RF lens mount. Find out if it's the camera you've been waiting for in my in-depth review! 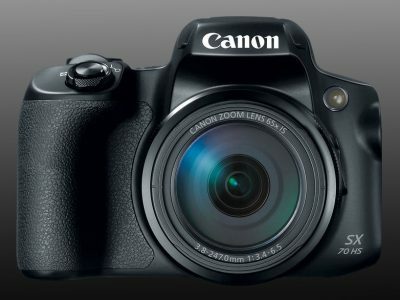 The Canon SX70 HS is a super-zoom camera with DSLR-styling, 20 Megapixels and a 65x / 21-1365mm optical zoom. The SX70 HS keeps the body, zoom and flip-screen of its predecessor, but upgrades the resolution and viewfinder while adding 4k video and 10fps. Find out more in my preview. 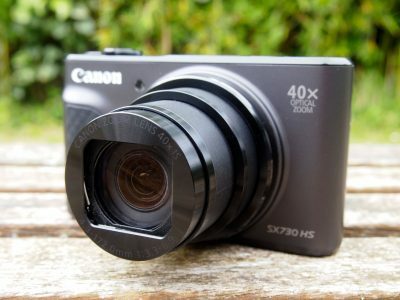 The Canon SX740 HS is a pocket super-zoom with a 40x / 24-960mm range, 20 Megapixel sensor, 4k video, Wifi and Bluetooth. It's a mild refresh over the SX730 HS, but now employs the latest DIGIC 8 processor to support 4k video and 10fps bursts. Find out if it's for you in my review. 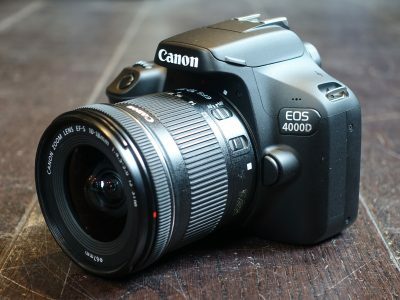 Canon's EOS 4000D is a low-priced DSLR that aims to make creative photography more affordable. It offers an 18 Megapixel APSC sensor, 1080p video, 9-point AF, 3fps and Wifi. There's few frills, but it's a solid spec for the money. Check out my review! 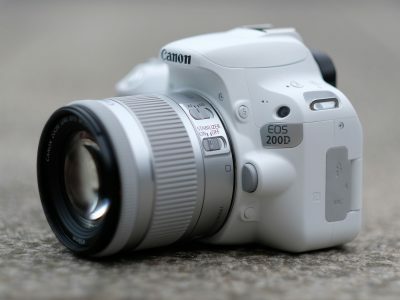 Canon's EOS 2000D / Rebel T7 is an entry-level DSLR aimed at beginners, sporting a 24 Megapixel APSC sensor, 1080p video, 9-point AF, 3fps shooting, Wifi and NFC. It may lack the frills of higher-end bodies, but provides the basics at a low price. Check out my review! 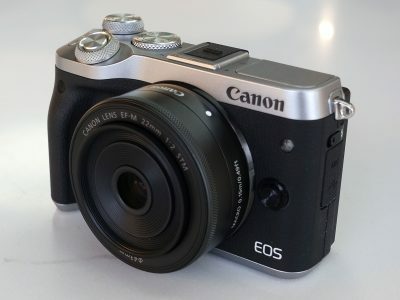 The Canon EOS M50 is a mid-range mirrorless camera with a 24 Megapixel APSC sensor, viewfinder, Wifi and Bluetooth, and becomes Canon's first mirrorless with 4k video, a fully-articulated touch-screen, eye detection and silent shooting options. Find out more in my review! 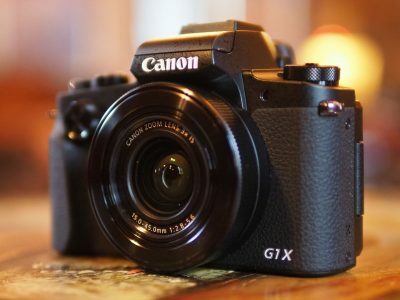 Canon's PowerShot G1X Mark III is a high-end compact sporting the same 24 Megapixel APS-C sensor as the EOS 80D. The Mark III also squeezes a 3x / 24-72mm zoom, EVF, fully-articulated touchscreen, Wifi and 1080p video into its weatherproof body. Check out my in-depth review! The EOS M100 is the smallest, cheapest and most beginner-friendly camera in Canon's mirrorless range, but shares the same 24 Megapixel APSC sensor with confident autofocus as its higher-end siblings. Find out if it's the best entry-level camera in our review! 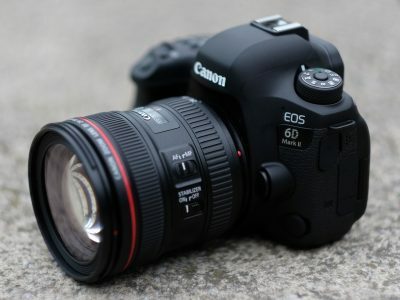 Canon's EOS 6D Mark II is an 'affordable' full-frame DSLR which upgrades the original 6D with a higher resolution 26MP sensor, improved autofocus, faster burst shooting, greater connectivity and an articulated touchscreen. Find out if it's for you in my in-depth review! 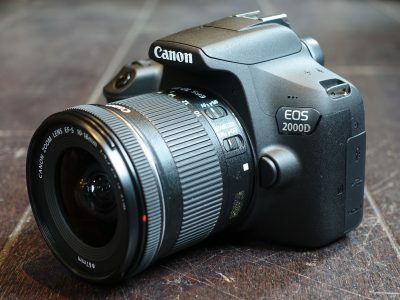 Canon's EOS 200D / Rebel SL2 is a compact DSLR that's a step-up from entry-level models. Available in three colours, it sports a 24MP sensor with confident movie focusing, a fully-articulated touchscreen, and Wifi with Bluetooth. Find out why it's one of the best DSLRs for the money in my review! 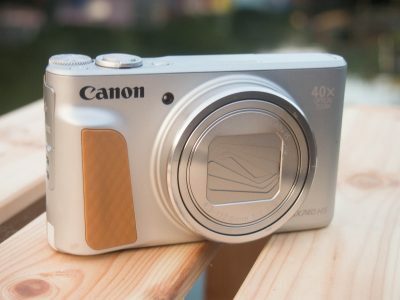 The PowerShot SX730 HS is Canon's flagship pocket superzoom. 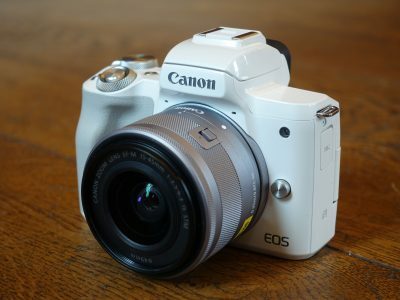 Like its predecessor, it packs 20 Megapixels and a 40x / 24-960mm zoom into a pocket body, now with a tilting screen and Bluetooth. Find out how it compares to the Lumix TZ90 / ZS70 in Ken's review! 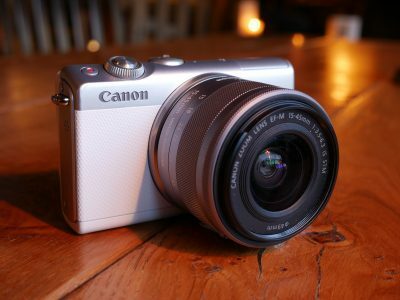 Canon's EOS M5 is a mid-range mirrorless featuring a 24 Megapixel APSC sensor, Dual Pixel CMOS AF, built-in OLED electronic viewfinder and a tilting 3.2in touchscreen. It'll shoot at 7fps with CAF, film 1080 60p video, and offers an always-on low-power Bluetooth link. Is it the mirrorless for you? Find out in Gordon's review. Canon's EOS M6 is a mid-range mirrorless camera with a 24 Megapixel APSC sensor, Dual Pixel CMOS AF, a tilting touch-screen and 1080p video. The addition of Bluetooth maintains a connection with your phone and if you want a viewfinder, an optional accessory mounts on the hotshoe. Find out more in my hands-on Canon EOS M6 preview! 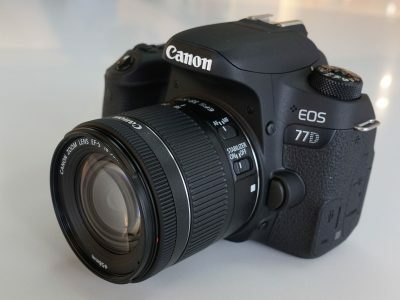 The Canon EOS 77D is a mid-range DSLR, aimed as a step-up from entry-level models. It employs a 24 Megapixel sensor with Dual Pixel CMOS AF, the optical viewfinder features a new 45-point / all cross-type AF system, and there's also a fully-articulated 3in touch-screen and built-in Wifi with Bluetooth. Find out more in my Canon EOS 77D preview! 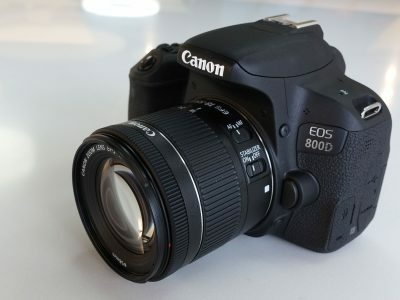 The Canon EOS 800D, or Rebel T7i as it's known in North America, is an upper entry-level DSLR, aimed at photographers wanting a step-up from the most basic models. It features a 24 Megapixel sensor with Dual Pixel CMOS AF, a 45-point viewfinder AF system, and a fully-articulated touch-screen. Find out more in my EOS 800D / T7i preview! 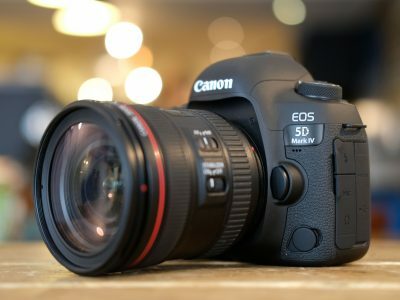 Canon's EOS 5D Mark IV is the long-awaited successor to the 5D Mark III, boosting the resolution to 30.4 Megapixels with a new full-frame sensor that supports Dual Pixel CMOS AF. It can film 4k movies and features built-in GPS and Wifi with NFC. Find out if it's the body you've been waiting for in one of Gordon's biggest reviews!